The Infiltrator is a riveting drama based on a true story, distributed by Broad Green Pictures, rated R for violence and language, sexual content and drug material. Written by Ellen Brown Furman and directed by Brad Furman, the film runs 127 minutes and opened in area theaters earlier this week. 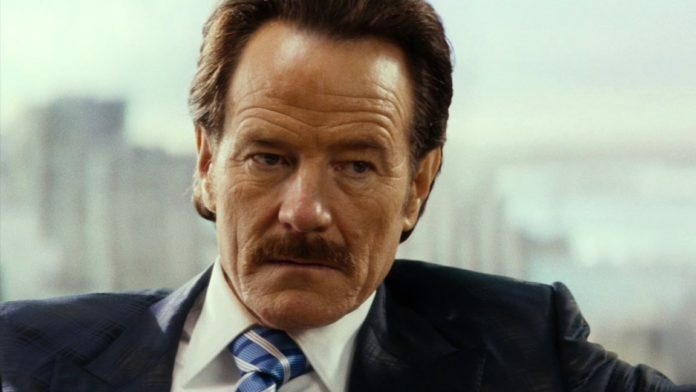 Bryan Cranston is every bit as good as we thought he would be in the role of Robert Mazur. Mazur is a real-life drug enforcement agent who brought down a multi-million dollar Colombian drug empire run by Pablo Escobar in the 1980s. Going “deep undercover” in his case, meant living for days or weeks at a time as Bob Musella, a ruthless tycoon who laundered drug money for even more ruthless clients. His sidekick in pretend crime was a wild man, Emir Ebreu, perfectly portrayed by John Leguizamo in the film. While in real life Mazur was a happily married family man, his cover role had a fiancé, a customs agent played by the lovely Diane Kruger. The film can be confusing in the beginning, with audiences required to pay close attention to tell the good guys from the really, really bad guys. One of the most likeable characters is a sophisticated Escobar lieutenant played by Benjamin Bratt. He and Mazur had a close working relationship verging on friendship and mutual affection, obviously doomed to end badly. As we pause to thank our law enforcement officers for their sacrifices for our safety, heroes like Robert Mazur and Emir Ebreu also deserve our gratitude for going beyond the call of duty. Their efforts led to indictments of 85 drug lords and the collapse of one of the world’s largest money-laundering banks. This is not a film meant for family entertainment, since the language and violence definitely deserve the R rating.